Best electric scooter for kids – 2019 review edition – Get Kids Outside! Zipping around on a little electric scooter is a lot of fun and if you have kids who sometimes get too tired to keep pushing along when you’re on a bit of a journey can also save a lot of tears! Here’s my thoughts on choosing the best electric scooter for kids and you’ll see that my favourite brand features quite highly! will they play in the street or is it for going out on longer ‘walks’ – battery life could be a concern. is it suitable for your child’s weight? How is the speed and braking controlled? Can you get a seated version? Top of our list of kids electric scooters is the Razor E100. Now Razor feature highly in my list as they have quite a few options depending on what you want and they are a reputable brand. I think this one is the most popular that they make and would be good for most kids. Compared to the E90 below, this one has a larger frame and can take a slightly heavier child – 54kg instead of 50kg. It also has a twist throttle to enable speed variations. The batter will last for about 40 mins on full charge so definitely enough to start getting them outside and playing in some fresh air each day. As I said, there are a few options within the Razor brand and although this one is also an E100 it’s a ‘Power Core’ version. What this means is that it has a higher torque motor inside. It’s also 16% lighter than the classic model and is pretty much maintenance free as there is no chain driven motor. The ride time of this one is 60 mins, I imagine due to the lighter material. You can see this version on Amazon here. If budget is a primary concern for you then this electric scooter might well fit the bill. It’s about a third of the price of the Razor brands and so represents good value. It states that you can go 15-20km on a single charge and since the speed of it is 12km per hour it should be able to be used for at least an hour and probably a bit more outside. The weight limit is generous and so should make it a good choice for heavier kids or teens. This scooter from iScoot is another pretty decent budget option. It does get mixed reviews though due to build quality and possibility of brakes binding although this may be a localised problem as there are plenty of people who are really happy too. With a top speed of 7.5 mph this one is much slower so perhaps good if you’re a little worried about speed! It lasts for a journey of up to 6.2 miles so not quite an hour of play. It has a maximum load of 80kg so again slightly more than the Razor scooters and good if your kids are a bigger. Check the latest price and reviews here. 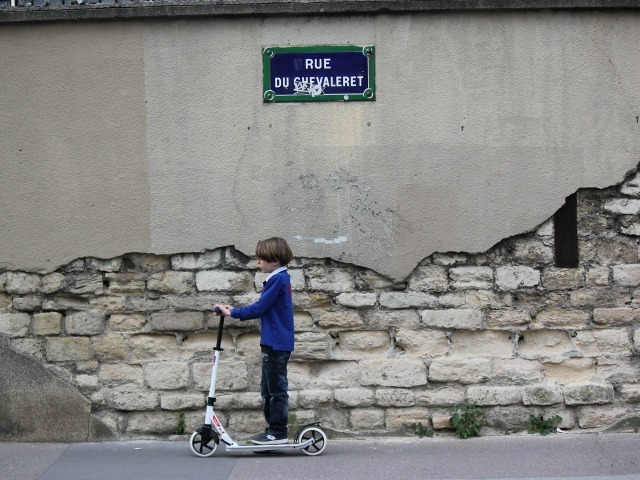 If you’re after a more leisurely scooter or you think your kids would just like the option to sit down while scooting around then the seated version of the E100, the E100S is a great option. The seat is removable which means you can have it just like the classic version reviewed above. The stats are pretty much the same too with a 40 minute ride time on a full charge and a top speed of 10 mph. Check out the reviews of this item here. My grandsons escooter stopped working after 6 charges ,and we cannot find anyone to fix it.customer care was shocking and won’t help.would definitely not recommend these scooters to anyone. argh – sorry to hear that. Thanks for updating and letting me know what your experience was.